Think about it. Powerful stories matter in the digital world. Strong content drives the journey. For businesses of any size, content marketing is an indispensable tool for generating leads and driving sales. We make your visions come to life. If you need to get your story out there, we want to be your partner. We iterate and activate digital marketing campaigns. We deploy social media strategies. We develop compelling content with transformational messaging. We emphasize video as a critical component of all strategy, and we specialize in quick-turn, well produced stories and testimonials. 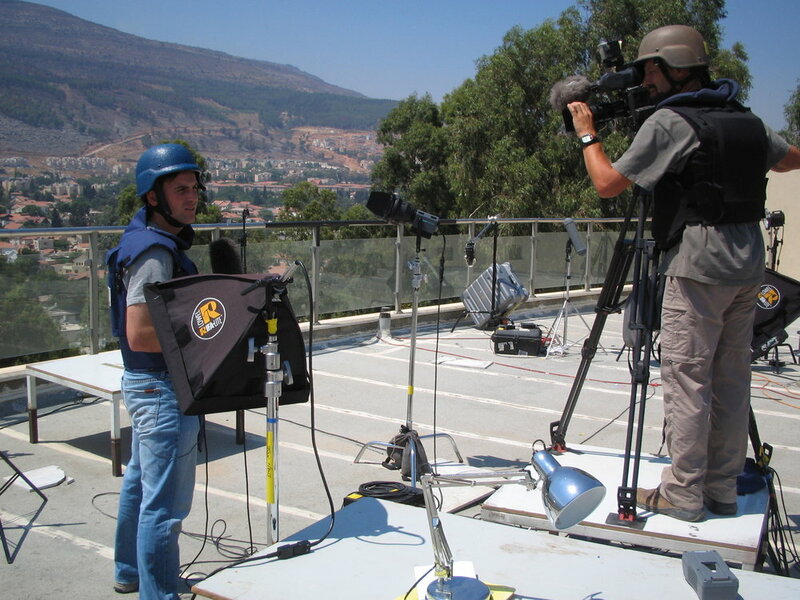 Our passion for storytelling can be traced to the long career in television news of Jeff Goldblatt, Managing Member of Jeff's Journeys, and the myriad adventures taken by Jeff as a journalist. Clients include the campaign of San Antonio Mayor Ron Nirenberg, leading U.S. aggregate building supplier, Martin Marietta and nationally-recognized corporate training provider, Zig Ziglar International. There are many success stories for Jeff's Journeys. We like to highlight our work with San Antonio-based home heath care provider, Pride PHC, which we helped to transform to embrace the digital age. After 6 months of robust content creation to grow brand awareness for Pride , we launched a digital advertising campaign to drive leads, which included an overhaul of the company's website. Before working with Jeff's Journeys, Pride was difficult to find in URL searches on the internet. Now, with the help of a strong SEO strategy and content marketing campaign, Pride is now frequently a Top-5 searchable brand for its industry in South Texas. Want your story told right? Be sure you get a proven story teller to help you make an unforgettable impression. Contact Jeff's Journeys. Winner of 3 Emmy Awards. We find stories. We tell them straight from the heart. And we make people care, led by Managing Member, Jeff Goldblatt. As a former TV news journalist of 25 years, with 9 of those years spent in the field as a network news correspondent, Jeff learned how to take stories and use them to build trust, deepen understanding & nurture relationships. We now use this same model of story telling as a content marketing differentiator to help our clients drive sales, grow leads and protect their reputations. Jeff's favorite stories often came from his willingness to fly right into the path of danger just when everyone else was leaving. Jeff has learned if you don't take risks, you miss out on the stories that matter most—like New Orleans struggled to clean up after Hurricane Katrina, or how violence rocked the Middle East as missiles screamed overhead in Israel, both of which he saw and reported first hand. There are two things Jeff absolutely loves about the stories he has told over the years: first, they often give a voice to the voiceless. And second, every once in awhile, one of these stories makes a real difference. The statistics drive home the importance of powerful story telling. Interesting content is a top 3 reason why people follow brands on social media. Clicks from shared content are 5 times more likely to result in a purchase, and 70% of consumers prefer getting to know a brand through articles as opposed to ads. Everyone is using video to market their brands these days given the growth of citizen journalism, YouTube, and video-driven social media platforms whether it be Facebook, Instagram or Snapchat. A Syndacast study projects video will be 74% of all internet traffic in 2017. 70% of all marketing professionals are now saying that video is converting better than any other medium and that a video on a landing page increased conversion by as much as 80%. Scroll down to check out more achievements from Jeff's Journeys. It had been 20 years since a San Antonio Mayor seeking re-election had lost to a challenger. Ron Nirenberg defied long odds with a historic win in the 2017 Mayoral Race in San Antonio. Ron toppled a better-funded incumbent with stronger name recognition riding the wave of a high-power, emotionally compelling storytelling and social media campaign launched by Jeff's Journeys. 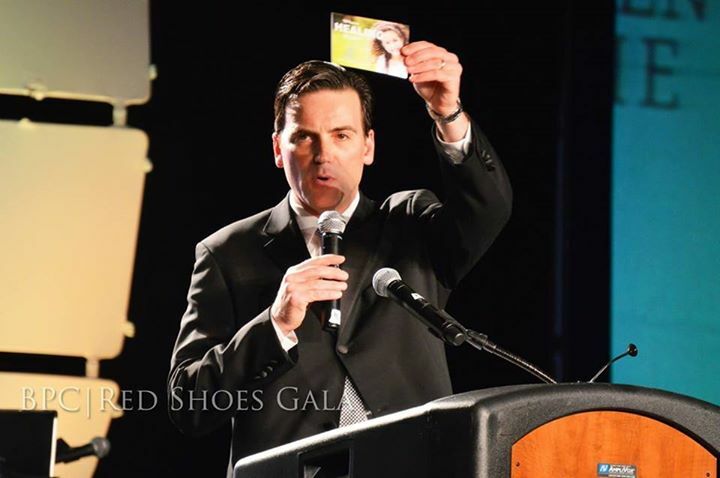 Jeff's Journeys helped Ron leverage strategically-positioned social media conversation into conversion at the ballot box. We provided a conceptual framework, with reinforced content, which gave the Campaign of Ron Nirenberg a decisive signature. The analytics, which are available by request, underscore how we gave Ron the Campaign sharp, if not transformational momentum. The slate of deliverables included a #MeetYourNeighbor video initiative which gave targeted focus to Ron's foundational principles on crime, traffic, and job growth. We also created #AskRon, a weekly live social media initiative, which helped Ron spread his message to a wide-ranging audience, many of whom according to early polling, did not have great familiarity with the candidate or his positions. The Mayor decided to carry of the success of #AskRon with him to City Hall and still uses the platform every week as a means to communicate with San Antonians. One of San Antonio's leading dental practices wanted a fresh, dynamic interpretation of its brand in order to present a stronger digital marketing statement. The campaign started with a robust launch of video testimonials, social media posts and original blog content. We collaborated with Herospace Digital to develop and roll out new branding for the practice wrapped around a market-researched tagline, "It Shouldn't Hurt to Smile" and then collectively created a customized, compelling website for Advanced Smile Care. The campaign also included the development of muti-layered digital marketing strategy with audience-targeted landing pages, Facebook ads, Google AdWords and call tracking. Two months after launching their digital strategy, marketing phone calls to the practice increased by 93%. Year-to-year, website users increased 72% and media coverage of practice accomplishments increased tenfold. Adapt A Vet launched in July of 2015 with a noble mission...to provide free home adaptations to veterans, many of them injured in combat. Without the adaptations, the veterans have trouble living in their homes without struggling. The non-profit reports an uptick in inquiries into their mission since the creation of this video. AREA Real Estate of San Antonio hired Jeff's Journeys to create content for a broad social media/digital campaign to showcase San Antonio's signature setting for urban living: www.1221broadway.com. The campaign included collaboration with Herospace Digital to create and develop a customized landing page with digital ads to recruit more teachers to live at 1221. We produced 250-thousand digital impressions and generated nearly 50 email leads for 1221 Broadway during the one month campaign, far eclipsing the ten-thousand digital impressions projected. Tank In A Box hired our team to travel to California to tell a story about its patented, new product which they predict will transform the paradigm of liquid bulk shipping. Tank In A Box reports a significant increase in sales of this product after it started to distribute this video as part of its sales presentation. Check out the Road Warrior. Client requested a contemporary website with a compelling narrative for its start-up business designed to cater to the fledging medical marijuana market in Maryland. We conceptualized and created a logo, and developed branding and a digital storyline for the client. 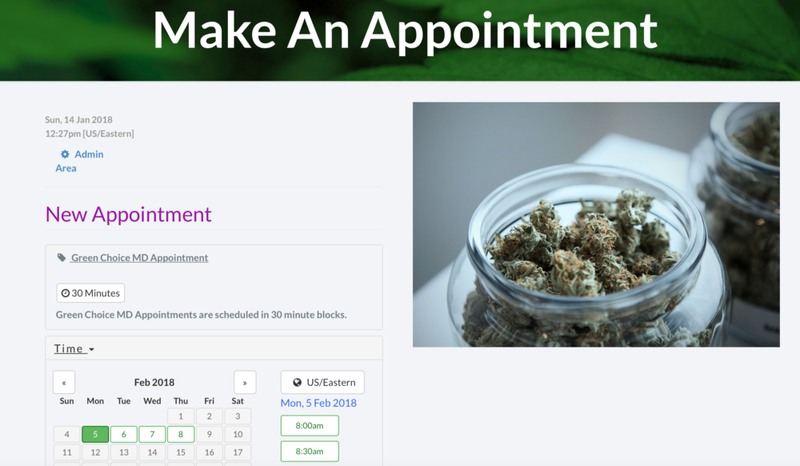 The website features a customized, digital appointment portal, which all clients use to book all patient visits. Thanks to Sharkmatic Advertising for the collaboration on Green Choice MD. VIA Metropolitan Transit, the leading public transportation provider in South Texas, collaborated with Jeff's Journeys for two storytelling campaigns. VIA wanted increased exposure of its VIAtrans service for the disabled. VIA showed this video campaign at a public meeting of the San Antonio City Zoning Commission in order to successfully secure additional funding for its VIAtrans program. Jeff's Journeys also developed and produced a Veterans Day series for VIA after VIA requested a campaign to recognize the veterans who serve San Antonio with pride. VIAtrans provides service for those customers who cannot ride the bus because of a disability. This is Adam's journey of how VIAtrans has made him independent, and given him the opportunity to attend college and have a job. VIAtrans provides service for those customers who cannot ride the bus because of a disability. This is Adam's story. VIA asked Jeff's Journeys to highlight the large number of Veterans serving its workforce. North Park VW in San Antonio asked Jeff's Journeys to create a series of videos to highlight the capabilities of its Service Department. Service Department Customer ratings improved after the implementation of these videos, which were shown to all new car buyers.. Hang on for a wild ride. See why it feels amazing to be a part of the North Park family. Nobody wants bugs or rodents in their home. Dallas-based Certified Termite and Pest Control hired Jeff's Journeys to create a series of videos to showcase on its new website. New leads increased for Certified after the implementation of our videos. "Why Storytelling Will Be the Biggest Business Skill of the Next 5 Years." A friend forwarded me an email the other day with that headline. I devoured the blog word-by-word, pausing every so often to digest the gravity of what I knew to be true given my 25-year career in journalism. Everybody has a story. Every business. Every brand. We help you tell stories to get you noticed in a crowd and so your customers remember you. We create compelling video and transformational content to grow your business and protect reputations. Magical night of family and music with @blackviolin. Great lesson about breaking down stereotypes and living outside the box. Aw heck yeah @weissmanandrew The boyz and I tore it up at your pop up. Best Indian food I’ve ever had. Very fresh. Great flavor profiles. And Gurvinder was a lovely host. Radiant. Real. Rock Star. Hugs and sunshine to my @loripaigegoldblatt who is special EVERY day but certainly today. Happy Birthday my love.